I just love this day – the day I get to share some of the wonderful posts from our Thursday Favorite Things Blog Hop. I get inspired as I visit each site and find the special things that have been shared with others. I’m so glad that you stopped by today to view my Tuesday Treasures No. 7 and the wonderful things featured this week! Kimberley of the Seaside Ave. did a little Dumpster Diving this week and created this marvelous little cake cloche. Don’t I wish I could find treasures like this when doing a bit of diving myself? 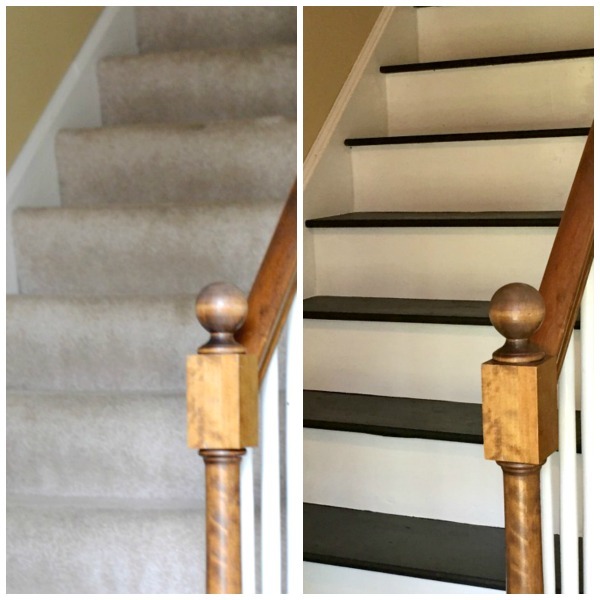 Sherri from To Simply INSPIRE has been busy in her home making changes to the staircase and she shares How to Remove Carpet from Stairs and Paint them. I must say they look amazing. 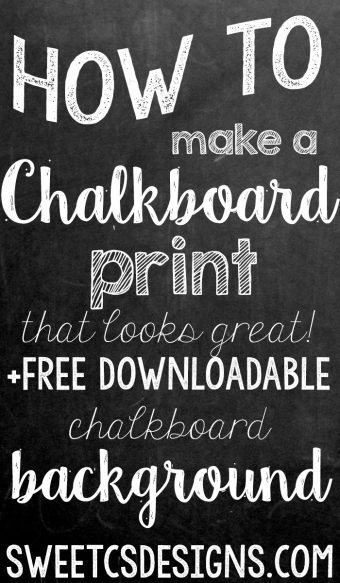 I love the look of chalkboard prints and Courtney of Sweet C’s DESIGNS is offering a Free Chalkboard Background as she shows us How to Make a Realistic Chalk Print. I can’t wait to try it! And this is just so simple, but so cute as Lorelai demonstrates her Bug Umbrellas at Life with Lorelai. Now why didn’t I think of that?! Now on to the foods for this week …. 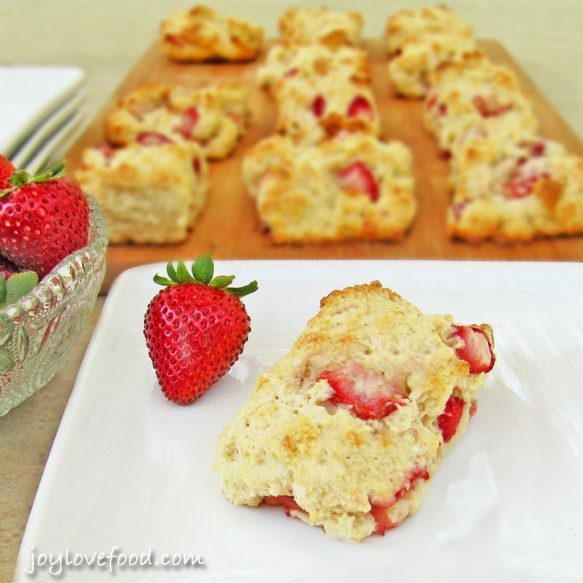 With strawberry season coming right along, this recipe for Strawberry Shortbread Scones from Joy of Joy Love Food caught my eye. Don’t they look yummy? 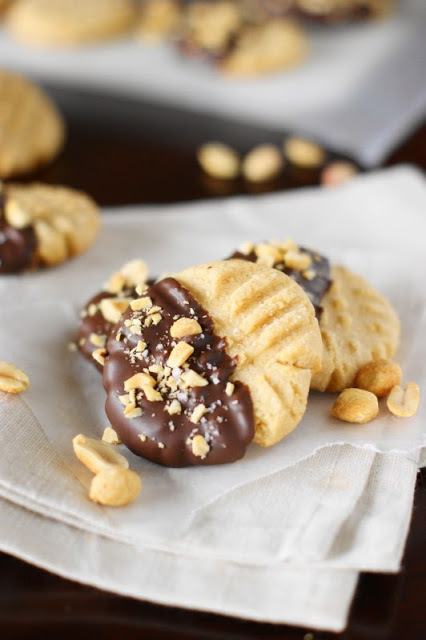 And these Salted Dark Chocolate Dipped Peanut Butter Cookies shared by Tracey from The Kitchen is My Playground called out my name. Did someone say peanut butter? 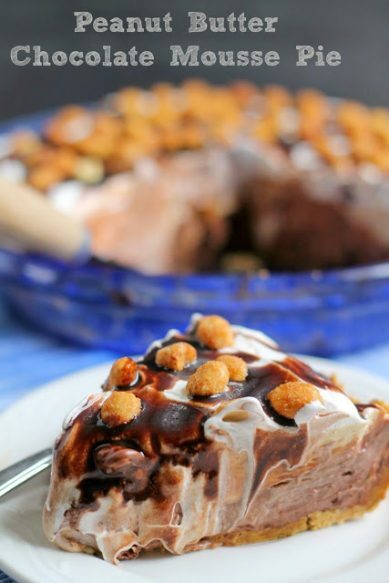 Carrie from the FRUGAL foodie MAMA made my taste buds come alive with her Peanut Butter Chocolate Mousse Pie. Can you tell I am a peanut butter lover? Just to show you I am not all “sweet tooth” when it comes to eating …. 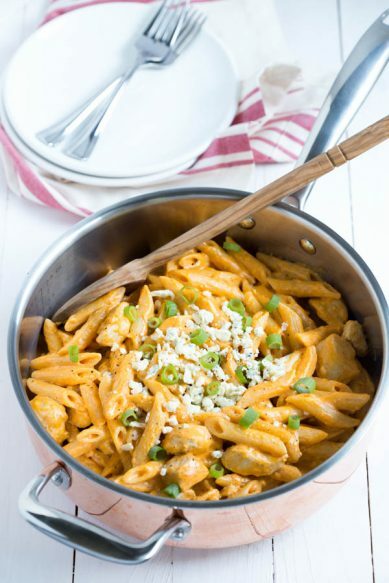 I loved this One Pan Buffalo Chicken Pasta shared by Ashley of a Spoonful of Flavor. 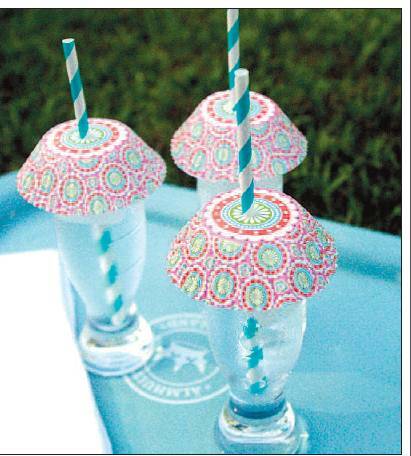 It will be on my list of things to make soon. 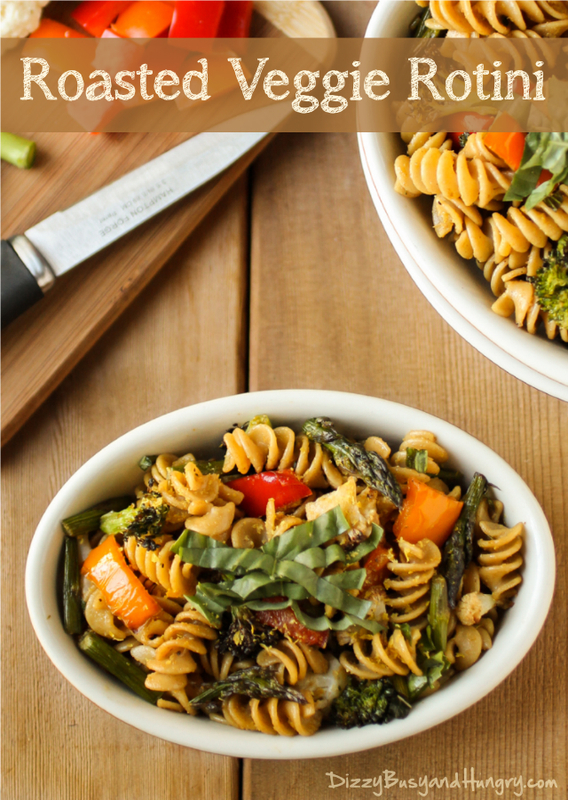 And this wonderful Roasted Veggie Rotini shared by Kristin from Dizzy Busy and Hungry! will be on that list as well. I know it’s not fair to remind you of swimsuit season right after I featured all of those wonderful foods, but this DIY Swimsuit Sarong created by Shellie of The FABulous Journey was just too cute not to share. 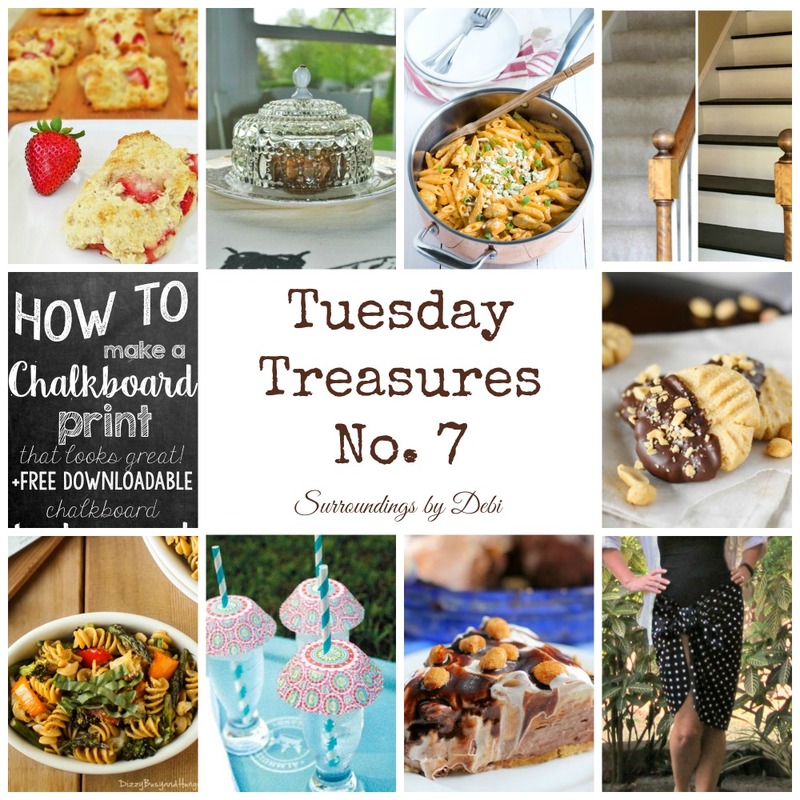 And there you have it….Treasures from the Thursday Favorite Things Blog Hop. Thank you to all who share with us and be sure to stop by this week! I can’t wait to see what is shared! I loved these umbrellas Lorelai. A simple idea anyone can use. Thanks so much for featuring my Strawberry Shortcake Scones, I’m delighted to be included! Can’t wait to try these Joy. I am in the mood for some wonderful summer desserts! These are some great features Debi! Thanks so much for the link party each week. I know it is a lot of work! Have a great evening! Thank you Benita! It is a bit of work but I love seeing all of the wonderful shares! Thank you so much for featuring my Staircase transformation! Hope you have a fabulous week! Sherri – I loved your staircase and I know it was a lot of hard work. 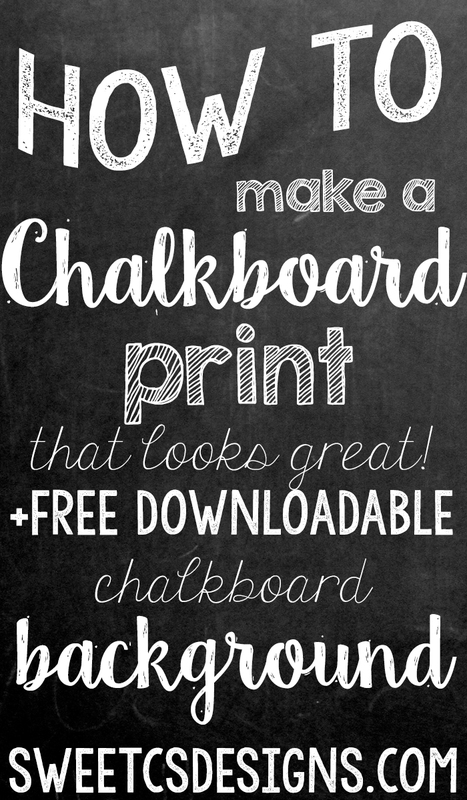 You made it look amazing! Hi Debi! 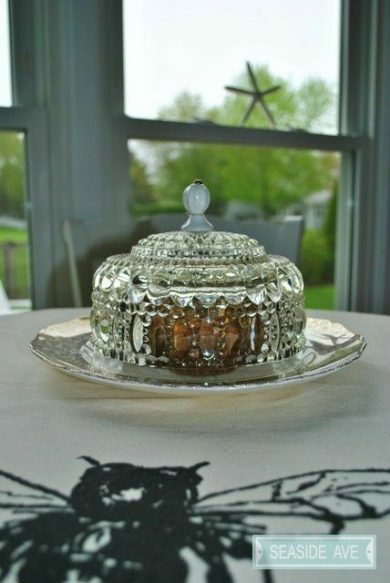 Thank you so much for featuring my cake cloche/dumpster dive find! It means the world to me as a new blogger to be featured! Kimberley – You did an wonderful job with this cake cloche. It was so creative! I love your blog. What a treat to be featured. ..thanks Debi! Loved your sarong Shellie. And you looked great in it! You are welcome Ashley! Have a wonderful week and I hope to see you at the party again!